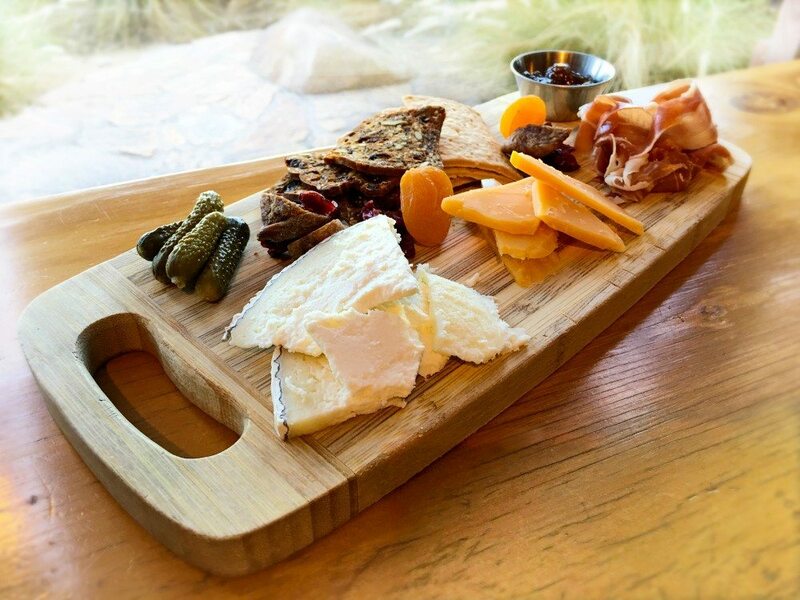 Enjoy a cheese paring or flat bread to enhance your tasting experience. We offer artisan cheese and charcuterie plates, flat bread pizzas, quesadillas, a grilled cheese sandwich, and fresh baked bread. However, we do not have a full kitchen. If you’re in the mood for more substantial fare, you may bring in food from other restaurants at The CAMP. Native Foods and East Borough will even deliver.